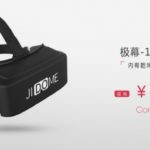 Chinese VR tech startup Dlodlo has just broke ground in VR headset portability, form factor, and tech specs. 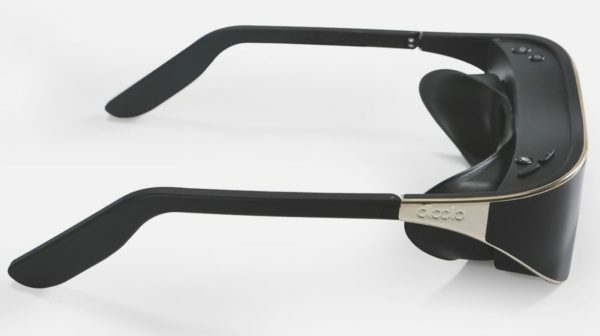 As fashion forward VR glasses can be, Dlodlo reinvents the definition of style and combines high-end features with the launch of the lightest and thinnest pair of VR glasses while still being able to deliver that immersive VR experience. The Dlodlo VR Glasses is touted to be highly versatile, with a high potential of useful applications in various industries such as education and the medical field. The main highlight of Dlodlo VR Glasses is that it’s ultra-lightweight, tipping the scale at just 120 grams (4 ounces). Comparing with other similar VR headsets on the market, averaging at 500 grams (16 ounces), the Dlodlo VR Glasses are four times lighter. 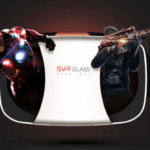 It is equipped with a high-resolution 2K display with a 16:9 aspect ratio, making it the perfect canvas for viewing widescreen VR content and games. 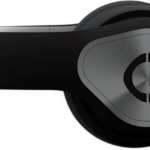 One aspect of the Dlodlo VR Glasses that sets it apart from other competing VR headsets is its independence from a computer or a separate control unit. It is fully wireless and does not need any PC or proprietary control unit for initialization or to function – it is self-contained and powered by Android 4.4 KitKat mobile operating system. 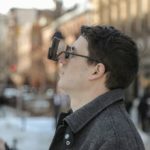 A Bluetooth 4.0 radio built into the VR glasses make it possible for interdevice communications, for example when connecting with supported devices such as smartphones, wireless headphones, and tablets. Dlodlo VR Glasses’ hardware features are top-notch, which are expected for such a high-end pair of VR glasses. It has a high refresh rate at 120 Hertz, thereby virtually eliminating dizziness while being used. It has a wide field of view (FOV) of 110 degrees, further enhancing the viewing experience by eliminating the so-called “screen door effect”. Lag or latency is almost nonexistent, with an ultra-low latency of just under 10 milliseconds. In terms of ergonomics and comfort, the pair of VR glasses uses a skin-friendly material to help with prolonged use while maintaining a comfortable VR experience. 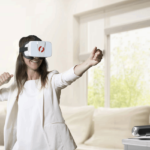 It can also be worn without prescription glasses, as the built-in optics are adjustable within a range of 58-70 millimeters towards the user’s eyes to aid in vision correction while enjoying VR. The Dlodlo VR Glasses uses military-grade display modules that yields a wide color gamut. Dlodlo claims that up to 97 percent true-to-life color reproduction is possible with these display modules, effectively reproducing lifelike colors and helps in creating a lifelife VR viewing experience every single time. The Dlodlo VR glasses are now on sale for US$699 at Dlodlo’s website and other third-party retailers such as Amazon.